I know some of us are familiar with the county tracking website where we log all the counties we’ve visited and generate a map of where we’ve been. I even have my own map there, but I haven’t updated it in a couple of years. The user input on that website relies on you manually clicking on whichever counties you want to log as visited. Many of us like statistics, and we like to track where we’ve been. As a GIS Analyst, I love maps. I love mapping data and analyzing that data on maps as well. I thought I could do a post (or a series of posts) on using GIS to generate maps from our storm chasing shenanigans. 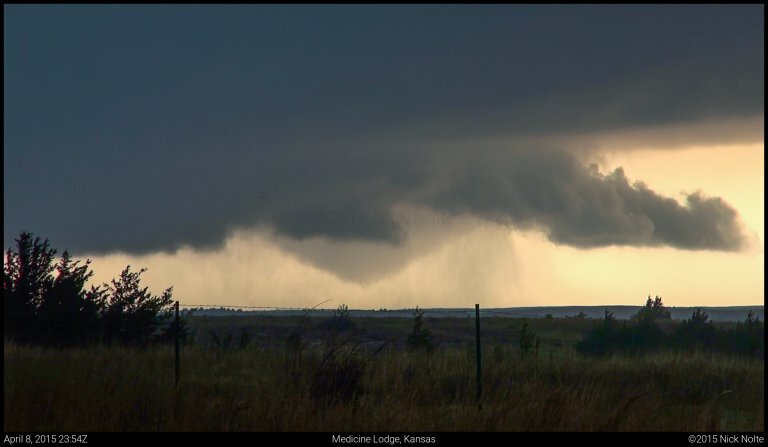 April 8th and 9th had been shaping up to be decent severe weather days and the chatter amongst chasers had grown to a fever pitch as the first big system of the spring seemed poised to kick the season off. A trough centered over the southwest was beginning to eject into the Plains and bringing with it the dynamics we would need to kick off severe weather. At the surface, a surface low was forecast to strengthen in southwest Kansas before it moved off to the northeast and eventually into Wisconsin by the following day. A couple target areas presented itself for Wednesday: the triple point and east along the warm front along the Kansas/Oklahoma border and further south along the dryline into the Texas Panhandle.